The Lawrence of Arabia is remembered for many reasons. 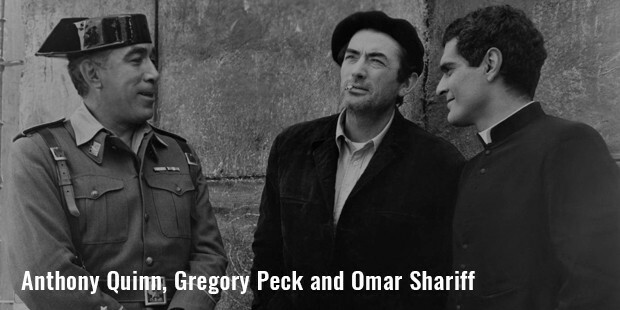 It’s the same film that brought Omar Sharifon to the world cinema. This legendary actor was nominated for an Academy Award and won three Golden Globe Awards and a César Award. Sharif spoke Arabic, English, Greek, French, Spanish and Italian fluently, he was cast in a variety of roles which earned him accolades, awards and recognition. 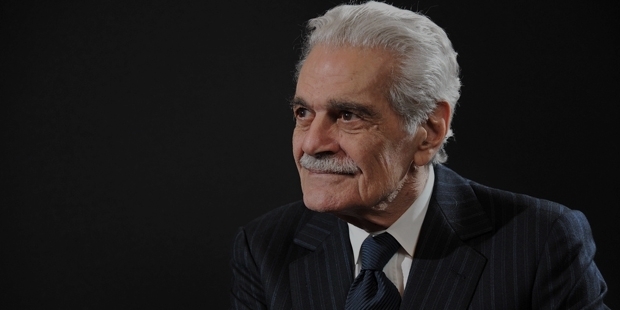 Omar Sharif was born on 10 April 1932, in Alexandria, Egypt as Michel Demitri Chalhoub. His family was a Melkite catholic family of Lebanese descent. His father, Joseph Chalhoub was a merchant and mother, Claire Saada was a noted hostess. His family moved to Cairo, when he was four. Sharif studied at Victoria College, Cairo and graduated from Cairo University with a degree in mathematics and physics. Later, he went to study acting at the Royal Academy of Dramatic Art in London. In 1954, Sharif began his acting career in Egypt with a role in Shaytan Al-Sahra. He began appearing in many Egyptian films and rose to fame. In 1962 he was casted as Sharif Ali in David Lean’s Lawrence of Arabia, one of the iconic characters of Film History. His performance earned him an Academy award nomination and a Golden Globe Award for Best Supporting Actor and Golden Globe Award for New Star of the Year – Actor. After this film, he was casted in many British and American productions.Sharif co-starred in the film Behold a Pale Horse in 1964. The Yellow Rolls-Royce in 1964 and Genghis Khan in 1965. Omar Sharif reunited with David lean for the film Doctor Zhivago in 1965 and won Golden Globe Award for Best Actor for his performance. In his long career, he played a variety of roles and appeared in 44 films and 12 television TV series. Omar Sharif was co-starred in the film He Behold a Pale Horse , film historian Richard Schickel wrote that Sharif gave a "truly wonderful performance", especially noteworthy because of his totally different role in Lawrence of Arabia: "It is hard to believe that the priest and the sheik are played by the same man". Sharif starred in the film Struggle in the Valley opposite Faten Hamama in 1954, they fell in love. Sharif changed his name and converted to Islam in order to marry her. They had one son, Tarek Sharif was born in 1957. The couple was separated in 1966 and divorced in 1974. 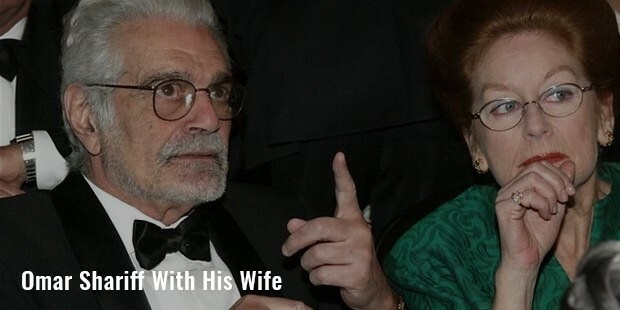 Sharif never remarried; he stated that since his divorce, he had never fallen in love with another woman. Sharif was once ranked among the world's top 50 contract bridge players and also had an interest in horse racing. He supported Hull City Association Football Club and given an honorary degree by the University of Hull in 2010. In the later years, Sharif lived in Cairo with his family. In 2015, he did his final role for the film 1001 Inventions and the World of Ibn Al-Haytham . On 10 July 2015, Omar Sharif died of heart attack in Cairo, Egypt.